This multi-function instrument is simple to read. 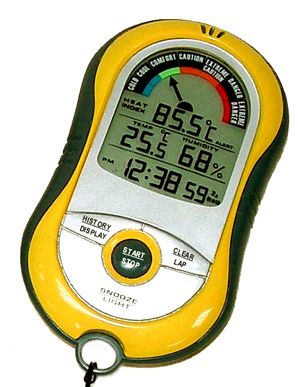 Features a large digital screen with an arrow display showing all ranges of dangerous heat conditions. Audible warning sounds before the heat index reaches critical levels. Other readings include actual temperature and relative humidity. Features a 24 hour critical information memory. 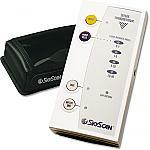 Also functions as: stopwatch count-down timer alarm Includes a lanyard & soft carrying case. Requires 2 AA batteries, not included.